Add a unique craft to your party. 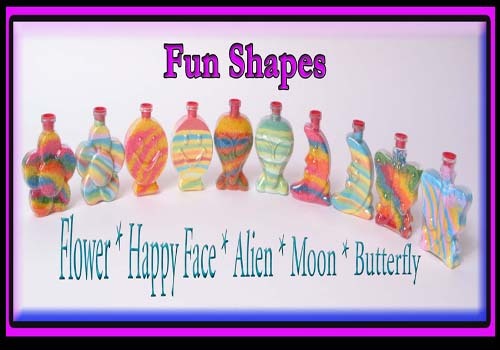 Let your guests make their very own sand art creation. 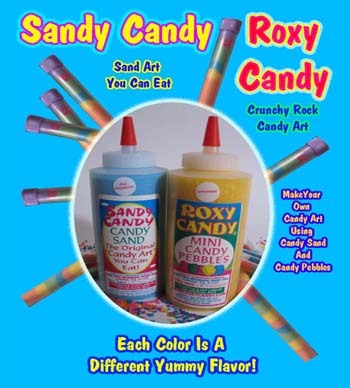 The unique part is that it’s NOT SAND, it’s CANDY!!! 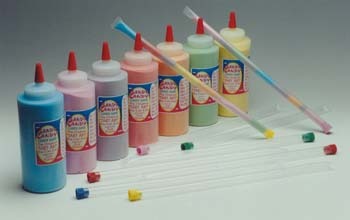 Each color is a different delicious flavor. 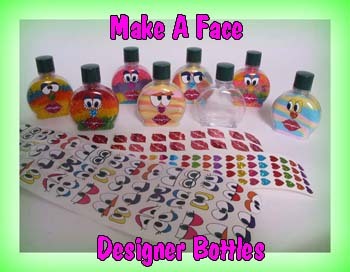 You can choose fun shaped bottles, make-a-face bottles, or 12” tubes for filling with the flavored candy sand & pebbles.